RUSH: I just got an email here. I'm reluctant to use this 'cause I can't actually believe this. I haven't seen it myself. There's a YouTube link. I have Cookie tracking this down and actually seeing if this -- it's not that I don't trust who sent me this. It's that whoever sent it to them could be running a scam. The last thing I want to do is accuse -- and it's a governor -- of saying this if it's a hoax, 'cause it is unbelievable. It's the governor of Virginia, Northam, whatever his name is. I'll wait. I'll wait until Cookie has reviewed the YouTube link that I sent her. I don't have time to do this myself during the program. RUSH: Okay, I just got an email from Cookie. Let me check something here right quick and I've gotta do this on the phone otherwise I have to turn my back to you on the Dittocam. Oh, wait a minute. She sent me an iMessage. Okay. She says it's real, she's working on the audio. I'm gonna go ahead and tell you what it is and we're gonna have the audio. The governor of Virginia was talking about abortion this morning. He's a Democrat, obviously. His name is Northam. The press calls him a moderate. He wants to change abortion law to let babies be born and then be kept comfortable for a time and then abort it. With a straight face. He is talking about killing infants. Here's the quote: “If a mother is in labor… the infant would be delivered. The infant would be kept comfortable. The infant would be resuscitated if that’s what the mother and the family desired, and then a discussion would ensue between the physicians and mother,” if she wants to eliminate. So this guy in Virginia is apparently trying to outdo the people in New York, where they gave a standing ovation to the notion of delivering a baby intended to be aborted and then going in and killing it, or aborting a child up to the due date. So now the governor of Virginia, if a mother is in labor, the infant would be delivered, the infant would be kept comfortable, for a time, and then aborted after counseling with the mother. Meaning the abortion advocates could go ahead and continue to try to talk the mother into aborting the baby after it has been born and is being kept comfortable. Somehow this is more humane than killing it immediately after it's been born. We don't treat the animals that we test medical procedures on this way. Now, as I say, Cookie's preparing the actual audio so you can hear the governor say these things. Every time I report something like this or tell you about it, I go through the emotional roller coaster of imagining how the American people hear this, and I've thought for the longest time that at some point a bottom would be reached and people's tolerance level would be reached and no more would any of this be acceptable or tolerated. I don't know what's happening to the left, the Democrat. Well, I do, but I mean I can't even relate to this, this competition they have to outperform each other on such inhumane, barbaric, murderous behavior toward infants. And I keep waiting for one adult in the Democrat Party to stand up and say we've got to stop this! But these are political people doing this. These are people who are doing everything they do to get money and to get votes. This is a live baby. You take a look at people trying this kind of thing on animals, and they're gonna be in jail for animal cruelty or worse. But it is being applauded and promoted in places like New York and Virginia. It's just inexplicable. It's not explainable with conventional human understandings. And the idea that no Democrat anywhere said a word about what happened in New York. No Democrat stands up and says any behavior, any treatment of anybody else is too much. Not one Democrat stood up and said, "This is wrong what we're doing to these kids, these teenagers from Covington, Kentucky." Instead of a Democrat standing up and saying, “This is wrong, we need to back off, hold on,” they all pile on. They all pile on and they want to be in the contest to see who can be the most outrageous, the meanest, the vilest. Ralph Northam. This is on a Washington radio station today, Ask The Governor. 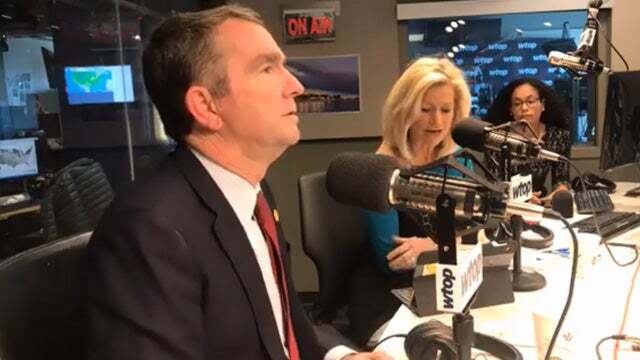 Governor Ralph Northam said this about a new abortion bill introduced by state Democrats in Virginia this month that is called The Repeal Act, and it would legalize abortion up to the point of birth. NORTHAM: If a mother is in labor, I can tell you exactly what would happen. The infant would be delivered, the infant would be kept comfortable, the infant would be resuscitated if that's what the mother and the family desired, and then a discussion would ensue between the physicians and the mother. RUSH: So it'd be up to the mother whether, at that point, to kill. They'll say abort. But see how reasonable this sounds? How level headed, how common, ordinary? Play it again, Sam. Ralph Northam, governor of Virginia. NORTHAM: If a mother is in labor, I can tell you exactly what would happen. The infant would be delivered, the infant would be kept comfortable, the infant would be resuscitated, if that's what the mother and the family desired, and then a discussion would ensue between the physicians and the mother. RUSH: Yeah. This is The Repeal Act. The Repeal Act, which would legalize abortion up to the point of birth, and apparently beyond. RUSH: Ralph Northam is a pediatrician, by the way, the governor of Virginia. I guess it's the Repeal "Life" Act. It's what's ultimately being legalized there. RUSH: A tweet here from an MD and MBA, Omar Hamada . "I want to clear something up so that there is absolutely no doubt. I’m a Board-Certified OB/GYN who has delivered over 2,500 babies. There’s not a single fetal or maternal condition that requires third-trimester abortion. Not one. Delivery, yes," all kinds of conditions that might require delivery, but, "Abortion, no." Dr. Hamadahere is wrong. There is one condition requiring a third-trimester abortion, and it's called liberalism. You could also say it's the Democrat Party. But it's primarily liberalism that requires third-trimester abortion. It's now liberalism that is applauding post-birth abortion. After making the baby comfortable for a while and then finishing the job. What the heck is happening to us, folks? What is happening to our country? I think one thing that's happening. The left is obviously becoming more and more bold. They no longer feel it necessary to lie about what they believe or about their agenda. There's no longer any reason to hide it, to camouflage it, to mask it, to use any kind of deceit, for whatever reason. I think their hatred for Trump (and us in general) and their belief that they have convinced everybody in the world to hate Trump has emboldened them. I think they believe that they have worldwide -- not just domestic U.S., but worldwide -- approval and support for what they believe and what they do. I think they have a confident about themselves now that says, "We no longer have to deceive or use this direction. "We no longer have to trick people, no longer have to lie. We can just like be right upfront about what we are and who we are and what we believe and what we are going to do." It wasn't that long ago that even when talking about abortion they would not talk about the fact that a baby was even involved. They wouldn't even acknowledge that. That was part of the trickery. Part of the way they convinced women to have abortions was to tell them, "Hey, abortion! A lot of potential things could go wrong, psychology, mentally. It's an illness. "Pregnancy is a disease," they would tell women, "and it's not a baby! It's an unviable tissue mass or unrelated collection of cells or whatever. It's nothing until you decide what to do with it." All the while they are, for some sick reason, encouraging every abortion possible. Well, now the big change is they've abandoned all of this talk about it being a freedom issue, a rights issue, human rights, civil rights, medical. I mean, they're being up front and open and honest. This is about killing children, and they are delivering standing ovations after passing laws permitting it, or they're talking about it in the same way they would talk about turning a faucet on and off as did the governor of Virginia. Here we go back to the phones. Richard, West Chester, Pennsylvania. You are next. It's great to have you, sir. Hi. CALLER: Hi. I'm a physician. I've been a physician for 30 years in Pennsylvania, and societies... The question after Germany in World War II was, "How could a civilized society allow the killing -- the factory-type killing -- of a population, a genocide?" That couldn't have happened without the acquaintance of the surrounding population, either by forceful acquaintance or people just accepted it. Well, it doesn't take very long to close the loop between killing a baby or doing what Ezekiel Emanuel was spouting off about, you know, people under 15 and over 65 are not worth treating for their various maladies. So it's a very close step to go from murdering these babies -- basically, that's what it is -- to murdering other people that are deemed unnecessary or not worth the money. RUSH: You know, folks, this man is so on the money. Ezekiel Emanuel is the brother of Rahm Emanuel, and he was largely one of the architects of Obamacare. It was the death panels. They would decide who, late in life, was worthy of whatever the cost of treatment for their disease, and they would say, "The money could much be better spent on somebody younger. This American is 75, 80, not that much life left, not worth so much expenditure. Let 'em die! Give 'em a pill. Get them comfortable." But to get there you have to first get comfortable with killing human beings. You do that with abortion. You bring people slowly along to the point that eliminating life in the womb is no big deal. In fact, that's not even what it is. It's an illness; it's a disease. I think you're exactly right. I once practically got booed off the stage at the 92nd Street Y when I compared abortion to the Holocaust, and I said, "I don't understand how you people in this audience can have a relationship to the Holocaust and be as ambivalent about abortion," and they... I mean, I got hooted at and hollered at and so forth. They didn't storm the stage or anything. I thought it was a very logical connection to make like you just it, but they don't want to hear it. CALLER: It is sickening. And I want to meet the physician and the nurses or whoever who is actually gonna carry out that order on a daily basis. I mean, it's not a one-time thing. These people work at these murder centers one day after the next. So this is what they do from 8 a.m. 'til 5 p.m. in the afternoon is basically kill people and they go home and have dinner and have a nice glass of wine, just like the Planned Parenthood films of selling baby parts. It's absolutely... I don't know where it's gonna end. It's gonna end badly, I think. RUSH: -- and he always said that he would eventually be exonerated, that what he was doing was eventually gonna happen anyway. And he's right. But, you know, the picture you paint, the doctors and the nurses have a live baby that they've made comfortable here in Virginia and then the mother says, "No, I don't want it." "Okay, cool," and they do whatever they do to end lifetime and then they do the next one and the next one is time to go home. The kids say, "How was your day today, Dad?" "Oh, man, it was kind of tough, but got through it." When you visualize it that way, it becomes even tougher to swallow. Anyway, I'm glad you called, Richard. Thank you much. RUSH: Look, folks, I know how uncomfortable this subject makes people. It's been the case since this program began. You know, I was doing the Rush to Excellence Tour the first two years of this program's existence. Every weekend for 48 weeks a year, I would go out, get a new affiliate, and I would do a standup show for an hour and a half (sometimes longer) to recognize a new affiliate, try to establish a connect between the city, the market, and the show. And if I discussed abortion, it just... It's so personal to a lot of people. This is 30 years ago, 28 years ago. It was not nearly as clear-cut and dried today what it is. There were so many people that were convinced it wasn't really a baby we're talking about. There's no human being involved here. Now the Democrats are just making no bones about it. I think also we know why now in New York they have authorized nondoctors to perform these post-birth abortions precisely because of our last caller. The doctor from Pennsylvania said, "I want see these doctors. I want to see these nurses who do this all day from eight to five and then go home and have dinner. Who are these people?" And it may well be that in the state of New York they had to authorize nonmedical people to do this to be able to find enough people to do it. That may be... We wondered what the hell is going on, 'cause these are the people that complained and whined about back-alley abortions and that's why we had to legalize it because it was so dangerous. Now all of a sudden, back-alley abortions have been authorized and they're getting standing ovation. Nonprofessionals in New York can now do it. I think we may now have an idea why that provision was put in, to give the medical community an out for doctors and nurses that don't want to participate in this. So is it gonna be a crime now for a teenager who's 14 or 15 and has a baby and drops it in a gutter or Dumpster or... This is no longer gonna be something over which the teenager will get in trouble for, right? In fact, that would be better to leave the child in the gutter or the Dumpster. It'd be better than if you go to the actual authorities in New York or Virginia to deal with it, 'cause at least the baby's still alive. But I know this makes people nervous, and I'm not preaching here. I'm just telling you what's going on. If you're having feelings about this not 'cause of what I'm saying, other than you're hearing the facts, I'm not directing you to feel any way about it. That's all up to those of you who hear it.